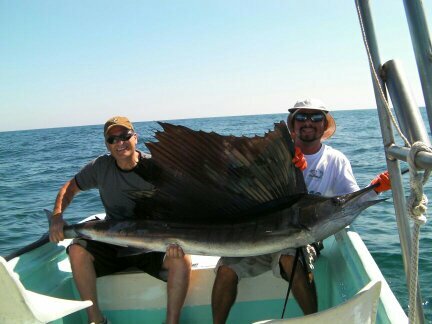 Let's go sport fishing in Huatulco! We can go out at 6:30 in the morning. I will bring 5 fishing reels; I also have outriggers in my boat. I will bring bait we call ballyhoo. While we're out on the boat I'll provide you with soft drinks, bottled water and beer.